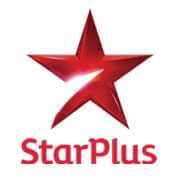 Star Plus tv channel is continuously launching new tv serials in 2016. Recently we have published an article about the new serial titled as Hum Ko Tum Se Ho Gaya Hai Pyar Kya Kare. Gurudev Bhalla and Dhaval Gada Productions are coming up with a joint venture on a leading channel. The show is considered to be based on the life of controversial director Mahesh Bhatt.The show has been tentatively titled as 'Naamkaran'. The show is based on the life of an Indian film director, producer and screenwriter Mahesh Bhatt.